Since I don’t have a tanker car sitting on a railroad track full of fructose and/or ethanol, it’s easy for a poor boy like me to regard fructose as a poison. Just present the scientific facts to me and I’ll behave accordingly: “Robert H. Lustig, MD, UCSF Professor of Pediatrics in the Division of Endocrinology, explores the damage caused by sugary foods. 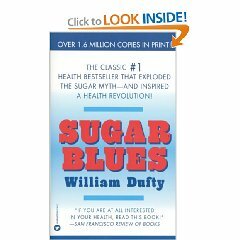 He argues that fructose (too much) and fiber (not enough) appear to be cornerstones of the obesity epidemic through their effects on insulin.” Robert does this for over an hour in a presentation called “Sugar: The Bitter Truth” (direct YouTube.com link available). Dr. Robert H. Lustig refers to fructose as a poison—several times. When your pal announces that she is going on “a diet” at least get her to commit to removing all known traces of fructose from her food and drink supply. Hey, let’s call it the ‘no-fructose diet’ and write yet another book. It will be an advance in American culture to regard fructose (and sucrose—and any other –ose) as poor-man’s sugar. It should be regarded as what the dirt poor eat—a kind of new-age government cheese. This should immediately shame millions of bling-blingers away from it. The government-cheese remark is not that silly. Sadly, WIC mothers have been encouraged by the government to feed tanker-car loads of fructose to their innocent infants—this correlates with an obesity epidemic among young (inner-city) children. Dr. Robert H. Lustig takes great care to track how ethanol and fructose are received into the human body. Because fructose has no acute effects on the brain (like ethanol), one (like me) may be led to assume that fructose does not damage the liver like ethanol can. This is wrong. WIC is turning infants into winos. Fructose is in ketchup, BBQ sauce—even bread. So removing it from your life is not that easy—especially when you consider yourself a “regular person.” Your grocery bill should skyrocket when you attempt to free yourself from this poison. Welcome to America. Love it or leave it. It is best to think of almost all popular carbonated drinks as weight gain fuel. Fructose is the modern American answer to an ancient American staple: corn. The poetic justice of this toxic situation is overwhelming.